WLC teamed with Weston Engineering to prepare and submit an As-Constructed UIC (Underground Injection Control) Permit Application for the City of Casper for the Hogadon Ski Lodge. The existing septic system at Hogadon has been in operation since 1985. 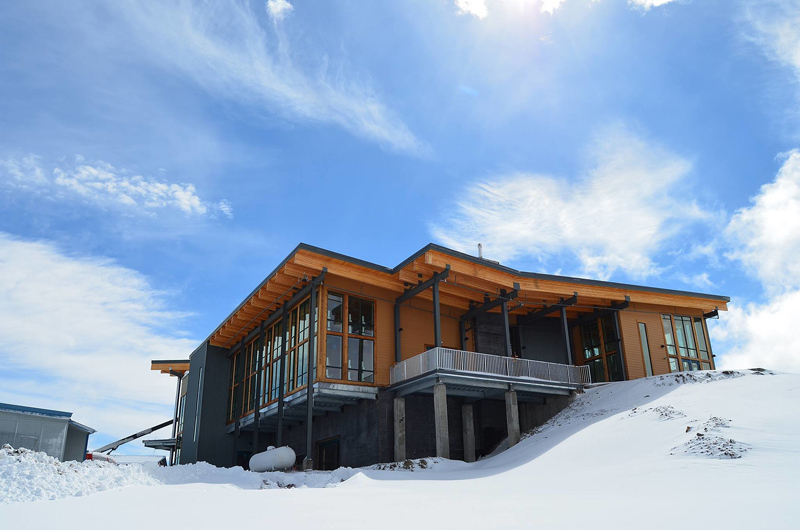 Recent improvements at the new Ski Lodge triggered a review by the Wyoming Department of Environmental Quality and a requirement to permit the existing system under the UIC Program. The permit application required an evaluation of the existing septic system operations and as-constructed conditions to verify its adequacy. The system consists of a Santech Treatment Plant, Lift Station and Leach Field. System capacities had to be determined in conjunction with the expected design flows from the new lodge. WLC completed the system evaluation portion of the UIC Permit Application and developed a recommendation of improvements for the system to comply with the UIC Program Rules and Regulations. The permit application also required a detailed groundwater evaluation and monitoring program. WESTON completed the groundwater evaluation and selected locations for two new monitoring wells. WESTON oversaw the installation of the new wells and prepared the groundwater evaluation and monitoring plan for the permit application. The permit was received in July 2018.